Go through this page to know about the climate of Allahabad. The Kumbh Mela of 2013 is going to be held in the the second oldest city of India - Allahabad. It has an ancient name "Prayaga" (Sanskrit for "Place of Sacrifice") that has stuck as it is believed that it was right here where Lord Brahma offered his first sacrifice after creating the world. Each of the four places where Kumbh Mela is held has a sense of uniqueness about it, but the one in Allahabad is doubly special because of the history the city carries with itself. 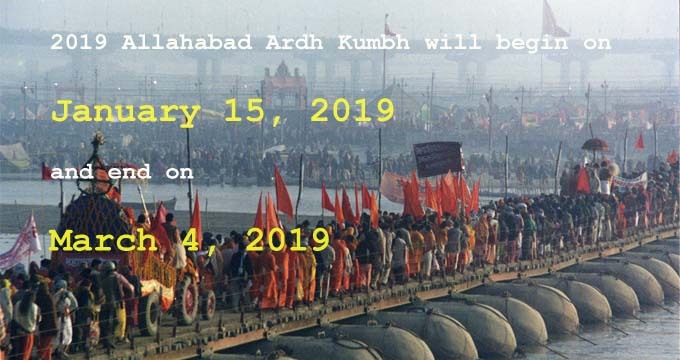 Therefore, attending the Kumbh Mela in Allahabad is an altogether enlightening and gratifying experience that is not to be missed. Located in the North Indian state of Uttar Pradesh, it faces almost the same weather conditions as Lucknow, Delhi, Chandigarh, Amritsar, and a few other cities located in and around the plains of northern India. If you are planning to be a part of this mass gathering that will be held in the months of January-February and have little knowledge as to with what climate you will be welcomed; it is advisable that you go through the following lines to get an idea of what the climate will be like in the months of January and February, and other months for information's sake. Allahabad too demonstrates the typical humid subtropical climate just like most of the cities located in North-central India do. The winter season, cool and dry, lasts from December to February (also the season in which the Kumbh Mela will be organized), with average maximum temperature ranging between 250C to 300C and average minimum of 50C to 100C. The minimum temperature rarely drops to the freezing point, temperature as low as -20C has been recorded in the past. It doesn't snow in Allahabad but a dense fog, especially in the month of January is common. Carry warm clothes with you when traveling to Allahabad in this season. The summers, hot and dry, lasts from April to early July with the average maximum temperature ranging between 400C to 450C. The highest of 480C has been recorded in the past. The monsoons, though irregular, bring some respite from the heat but are warm and extremely humid. You are advised to carry light colored cotton clothes, sun blocks, shades, and hats & caps with you when travelling here in this season. Also drink lots of fluids to keep yourself from getting dehydrated. Tourists, especially foreigners, are advised to be careful while traveling in the city after dark. Power cuts are common so carry a flashlight with you at all times. Women are advised not to dress provocatively and maintain caution while traveling.